We’re always up to date with the latest technology whether it focuses around renewable energy such as renewable heating, or more traditional approaches such as gas or oil boilers. Either way, we’re always up to date with the industry. We operate a robust quality management system endorsed by the Government. 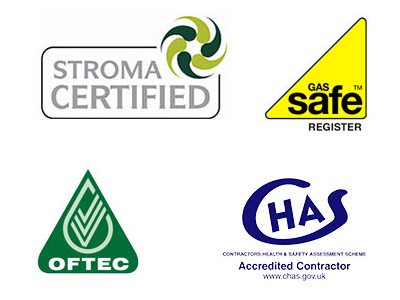 This means we are audited on an annual basis by various external organisations including Stroma, NICEIC, British Gas, SSE, and OFGEM which ensures our offering is always to the highest standard. We work in both commercial and domestic sectors with contracts in various Social Housing Schemes on scheduled as well as reactive maintenance schemes.